Stamoid Pure is a lightweight and durable flexible composite material designed specifically for polluted environments in the marine industry. 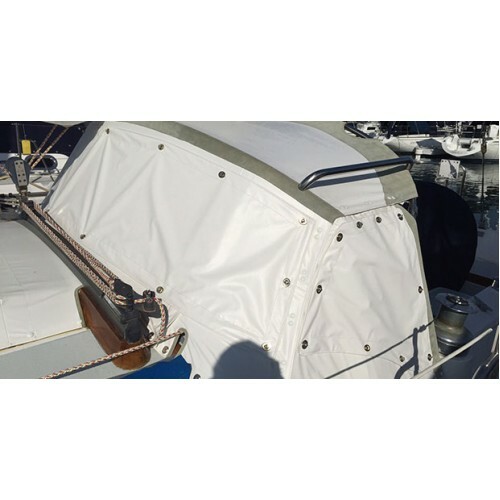 Used for a variety of applications, including Bimini tops, cockpit enclosures, sprayhoods, equipment covers and more, Stamoid Pure is a woven PVC material coated on both sides to make it 100% waterproof, and with a specially formulated oil resistant varnish to withstand pollution. Stamoid Pure provides the long term performance yachtsman and marine professionals have come to expect from Serge Ferrari’s marine protection products: lightweight and flexible, mold resistant, easy to clean, dimensionally stable, high UV resistance for color steadfastness, and 100% recyclable.